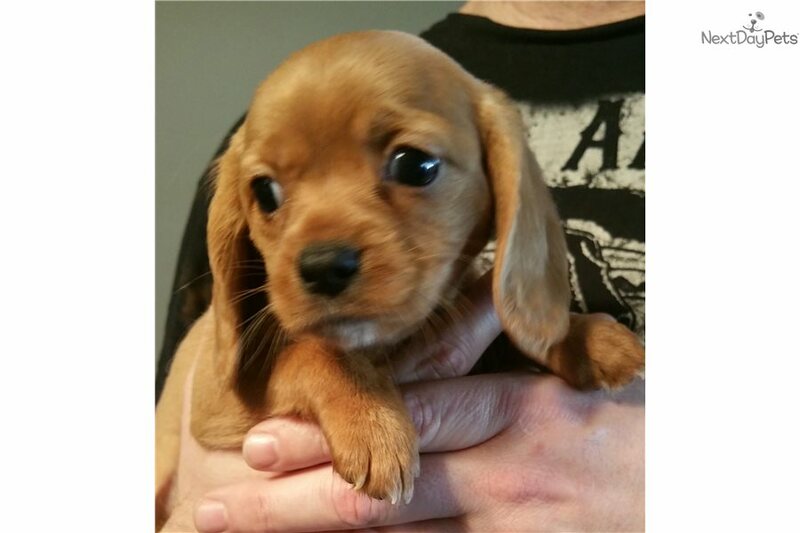 This Beaglier nicknamed Sandy sold and went to a new family. Say Hello to our precious Beaglier babies! A cross between a Cavalier King Charles Spaniel and a Beaglier, this adorable little Beaglier is a perfect companion animal. They will come with up to date shots and dewormings. Please feel free to contact us at 256-440-9608 for any questions.